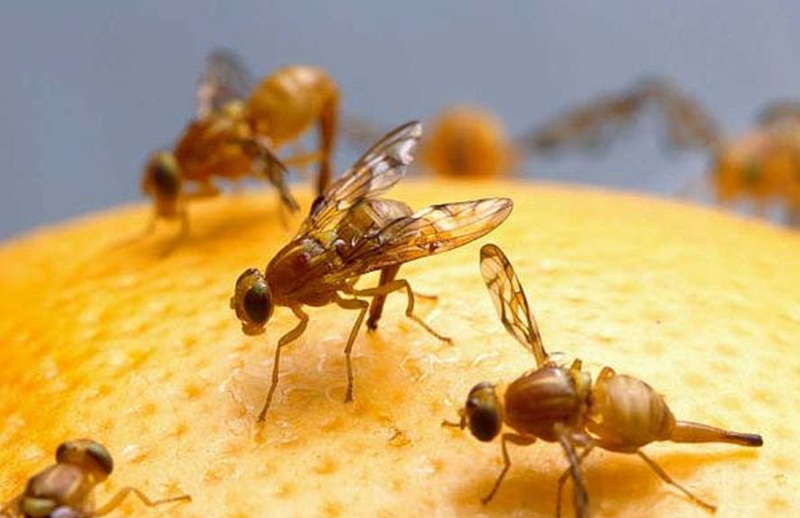 You probably noticed how many fruit flies there can be in your restaurant, in only a couple of hours. The reason why this happens lies in their fast reproduction. Fruit flies are known to reproduce at astonishing rates – and just because of this, they have been a subject to a lot of research for ages. 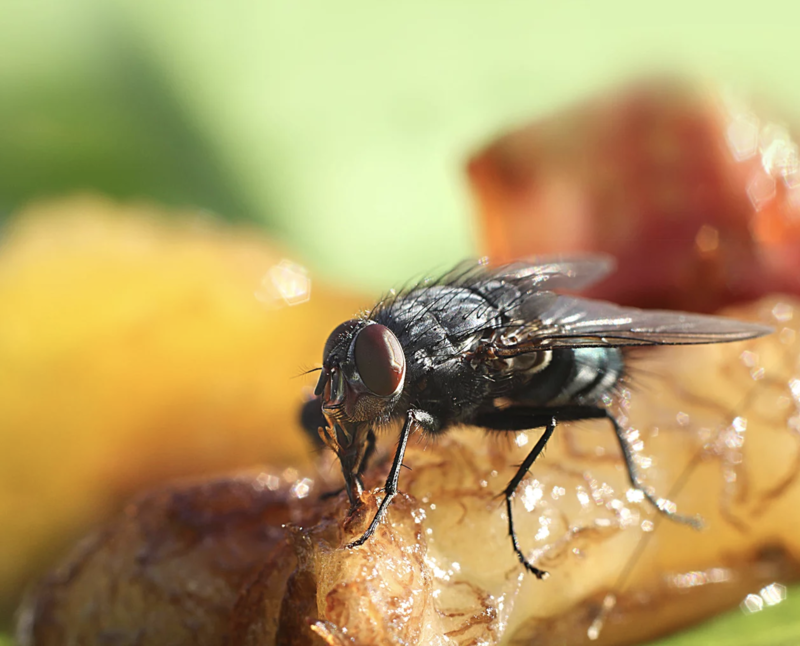 Just because of this terrifying fact regarding their reproduction, fruit flies are considered as formidable pests in both homes and restaurants. And while home owners can actually get rid of them in an easier way, restaurant owners find it hard to successfully terminate them from their breeding and feeding grounds. Their reproduction can actually increase due to the sugary food, garbage, rotten meat and alcohol – and within 24 to 30 hours, new fruit fly eggs hatch into larvae known as maggots. It is exactly these maggots that burrow through the decaying matter and molt – within only one week. After a couple of days, the larvae moves to a dry surface and transforms to something called pupae. Then, the adult fruit flies emerge and become sexually active – mating with several males and storing sperm for future use. The average lifespan of fruit fly adults goes from 40 to 50 days, depending on the temperature. While the female fruit flies are capable of mating and laying numerous batches of eggs during that time, the males are quicker at reproducing. 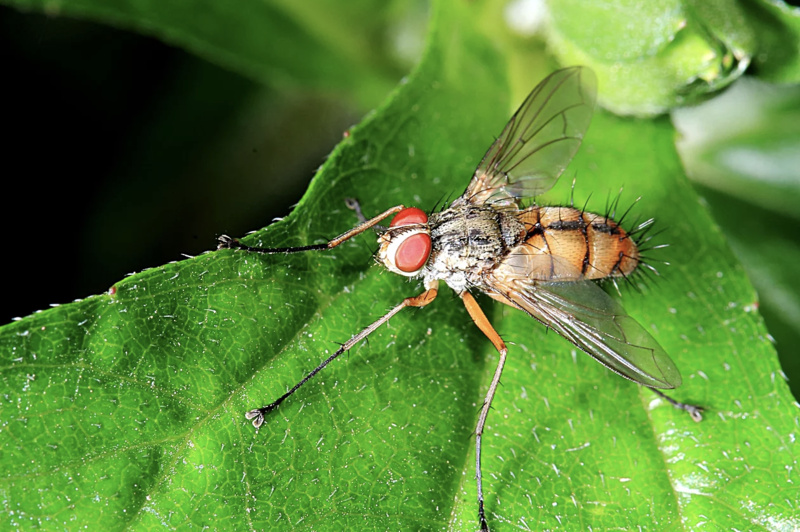 Generally, the fruit fly’s life cycle starts with the egg laying by the female – done on a piece of fermenting fruit or other decaying and sweet organic food. The female fruit fly can lay up to 500 eggs during this time, making it difficult to control the population. After the eggs hatch into small and white larvae, they eat from the nesting site for four days – absorbing all the nutrients and energy needed so they transform into adults. It is proven that fruit flies can only be eliminated by constant treatment at their source – a treatment that is undetectable and allows them to act naturally. 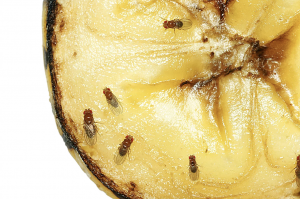 For that manner, we have created Fruit Fly BarPro – the one and only fruit fly treatment that works 24/7 for up to 4 months, killing these unwanted pests, at their source, with a clean and odorless, time controlled vapor.